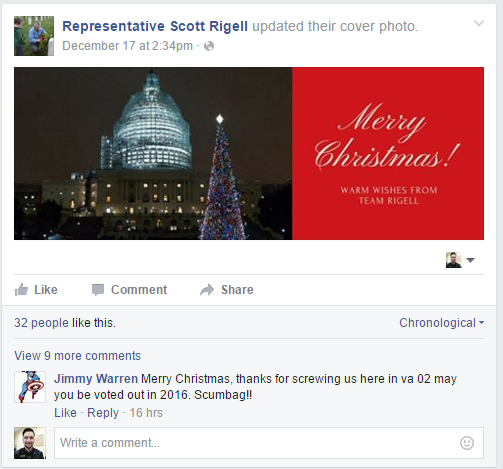 Saw this on the Facebook page of the congressman representing Virginia's 2nd district. Thats great. Our governor here in Wisconsin was voted the worst person in the united states.